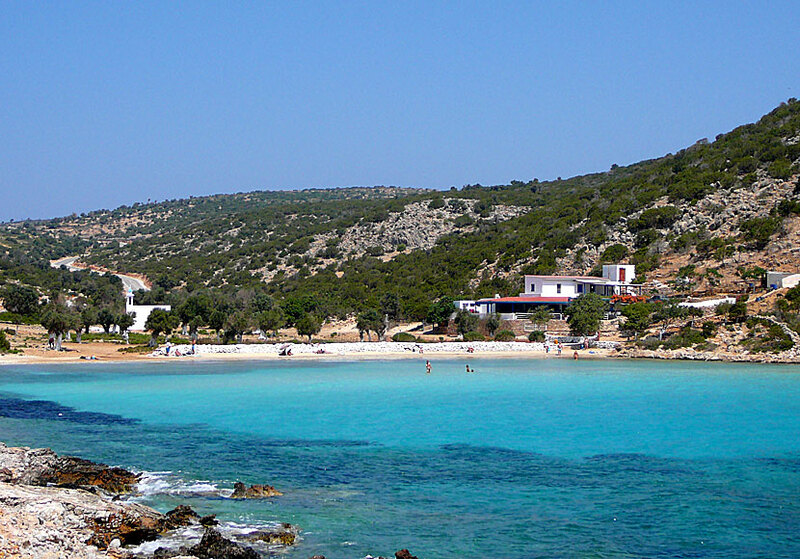 Platys Gialos beach in Lipsi. 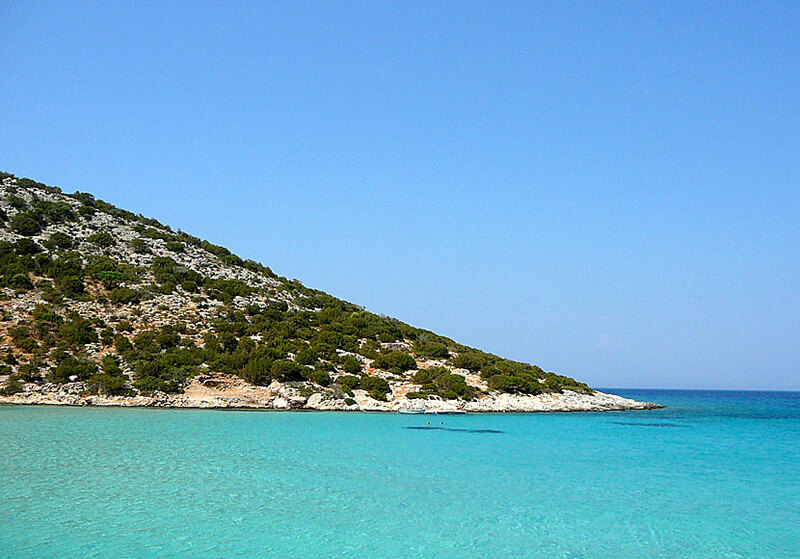 Platys Gialos is in my opinion the island's most pleasant beach. 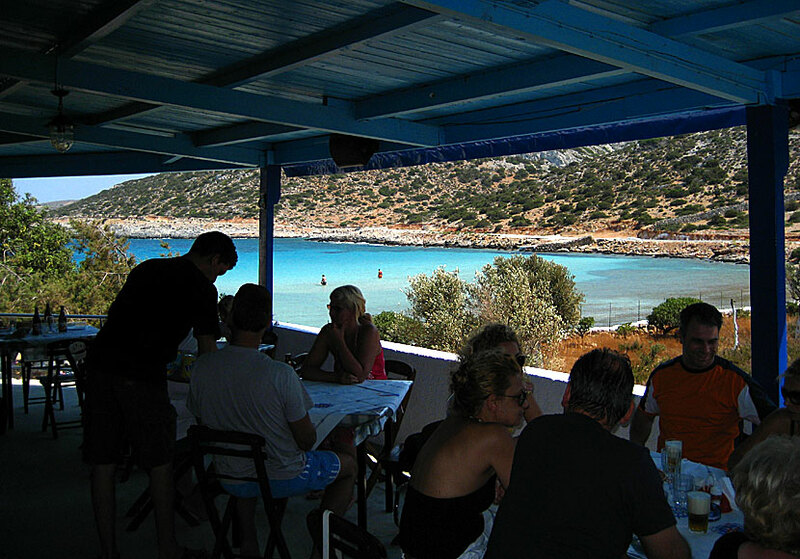 Not that the beach is so amazingly good - it is quite mediocre - but the water is unlikely turquoise crystal clear, and one of the archipelago's best lunch tavernas lies here. The easiest way to get here is by bus, it runs twice an hour during high season, or rent a scooter and drive here. To walk from the village takes between 30-35 minutes each way. The beach is small and narrow, it is just about that you will find room for a towel. The bottom is quite stony at first, but gets better if you walk a little bit out in the water, and walk you must, it's very shallow. If you come early you can grab hold of one of the few shady spots under the trees behind the beach. The taverna above the beach was called Kostas Taverna after the extremely nice owner. Kostas and his two sons took care of their guests as if they were one of the family. The taverna has been taken over by Kosta's sons since 2017 and has renamed Taverna Platys Gialos. 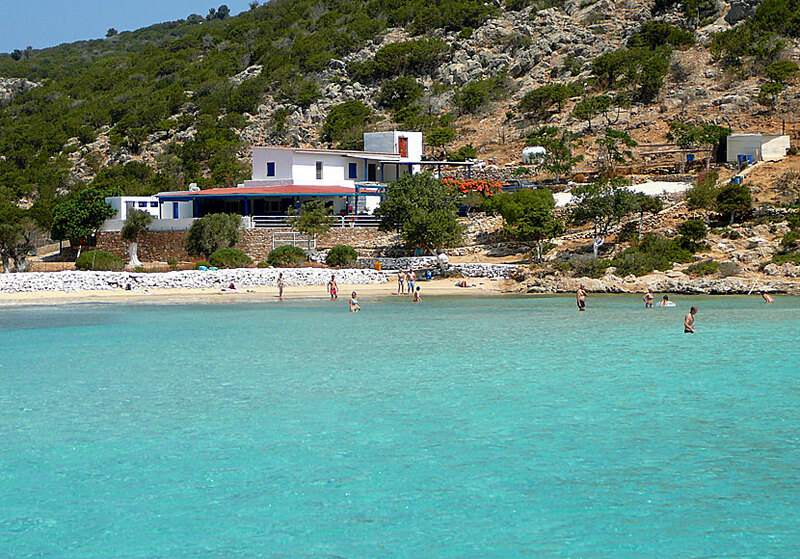 Taverna Platys Gialos (Kostas Taverna) at Platys Gialos beach. The food is varied, cheap and culinary good. You can easily spend a whole day here: eat lunch, enjoy the views, listen to Greek music, philosophize and read books. It is a place that one would rather not have to leave.